Add information about Benefactor rewards. New structure for pages with rewards with charts and ajax data loading. In this release, I started adding charts so let’s look at the example of beneficiary reward to see reward pages form. In the current release, I also added on-demand data download to the tables. Now it is possible to show data over all the time of the account exists. So we get monthly data, then handle them in foreach and convert them into desirable form. I suppose it's needed to move on to the separate library for work with DB and to implement a full-value initial collection of data from blocks. This release it is the beginning of new development stage of the Accusta system. 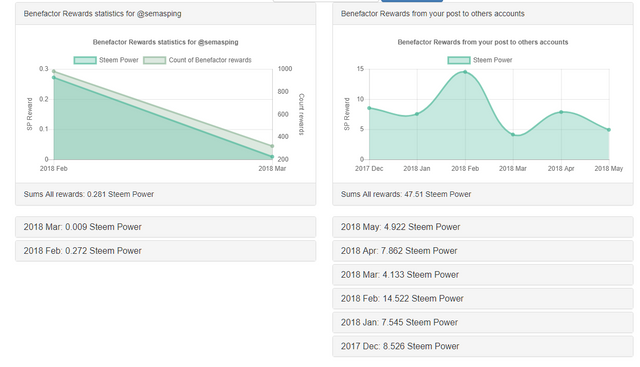 The benefactor rewards chart is very interesting! What determines which dates are shown? I checked @utopian-io for example, and it only shows data for 2017 Oct, 2017 Dec and 2018 May. It would be really cool if it was possible to see more months than that. I am really happy you included a screenshot showing which commits are included in this release! However, keep in mind that only commits that are 14 days old or less at the time of submitting are eligible. 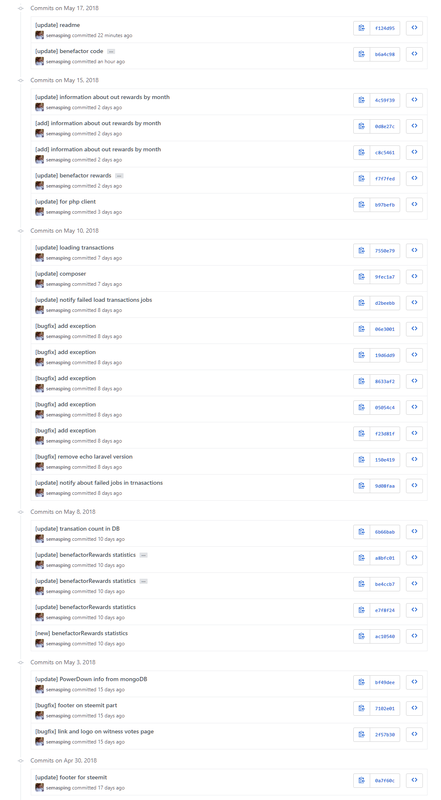 Also, it would be nice if you'd create a PR with all the relevant commits, which makes it easier for us to have an overview of the changes, but of course this isn't required. Click here to see how your contribution was evaluated. For @utopian-io I can see late evening, why only shows data for 2017 Oct, 2017 Dec and 2018 May. Cool! I think it's because there simply weren't any beneficiaries set in other months (forgot that they used @utopian.pay for that), so it makes sense, thanks.